For a long time, my recipe discovery was largely dependent on Google. Craving chicken fried steak? Find a blog with a recipe! Search Pinterest boards! Check Bon Appetit or the Kitchn! But in an interesting turn of events, I’ve come full circle and begun cooking out of paper (well, sometimes Kindle edition) cookbooks again. Of course, many of these cookbooks are written by food bloggers whose blogs I’ve come to love, so it’s all totally meta in the best sort of way. With that in mind, I’m planning to review some of my new favorite cookbooks and share them with you. 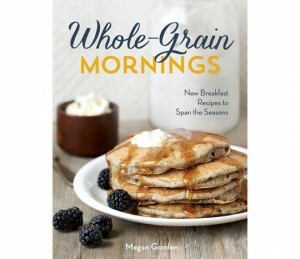 First up: Whole Grain Mornings by Megan Gordon. Even in the Kindle app, the layout and design are lovely. I do love a cookbook that looks as good as its recipes taste. It’s organized by seasons, a feature I appreciate as someone who attempts to cook mostly local, seasonal food. Sub-level organization breaks recipes down into Busy Weekdays, Slow Sundays, Brunch, and Spreads and Toppings, making it easy to guesstimate how much time and effort is involved in each recipe. As one might expect, recipes are based on whole grains. The book goes beyond the standard whole wheat and oats to include Amaranth, Buckwheat, Millet, Bulgur, and a few other not-so-common grains. The Whole-Grain Buttermilk Pancakes are quite delicious. In fact, there’s half a jar of the mix in my cabinet right now. They go perfectly with Megan’s Strawberry Rhubarb Quick Jam. Making jam is one of my kitchen loves, but often I don’t have the time or the patience for the canning process. Small batch freezer jams for the win! The addition of rhubarb gives the strawberry jam just a little something extra. Meg’s Make-Your-Own Granola recipe is one I’ve made several times, always with good results. I love being able to mix and match different fruit/nut/seed combinations. So far, hit combos have been blueberry-almond-macadamia, apricot-pistachio, and hazelnut-cacao-fig. My husband loves that the granola is almost savory and not too sweet. I sent a jar with him to work on a particularly hectic morning, expecting at least half of it to come back. Let’s just say I never saw it again! I had the Very Best Oatmeal for breakfast just the other day, and it was a lovely change from my usual microwave-for-two-minutes bowl. It’s not a recipe I would make every day, because it uses two pans and takes a little more time than my microwaved version, but I’ll keep it in mind for days when I have a little more time and want something different. Whole Grain Mornings is full of delicious, hearty breakfast and brunch recipes. I highly recommend it! I’m looking forward to the days when I’ll be able to eat gluten and dairy with abandon again so I can try the Pear-Hazelnut Oat Muffins and the Honeyed Ricotta. This entry was posted in cookbook reviews and tagged breakfast, cookbook, whole grain on October 9, 2014 by Audrey Steinbach. So, um, a lot has happened since I last wrote here. We moved to a beautiful townhome. 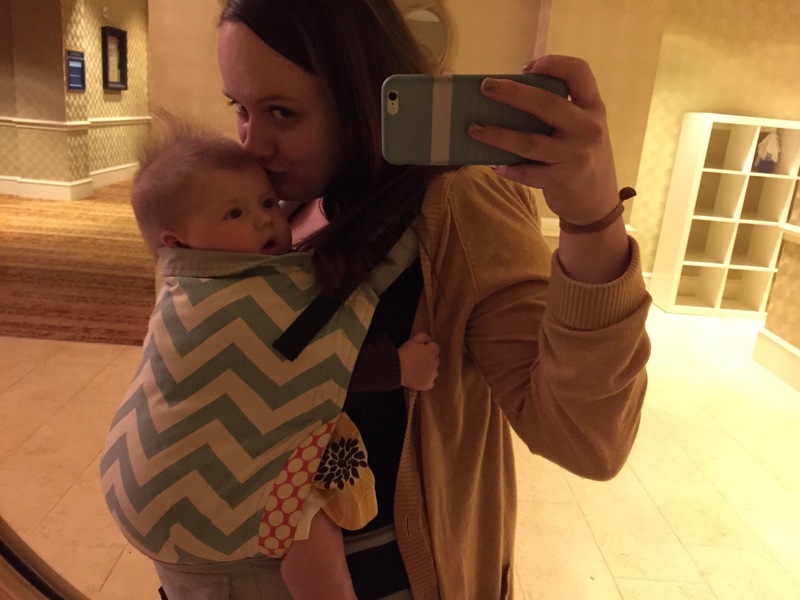 seven weeks later, we had a baby. 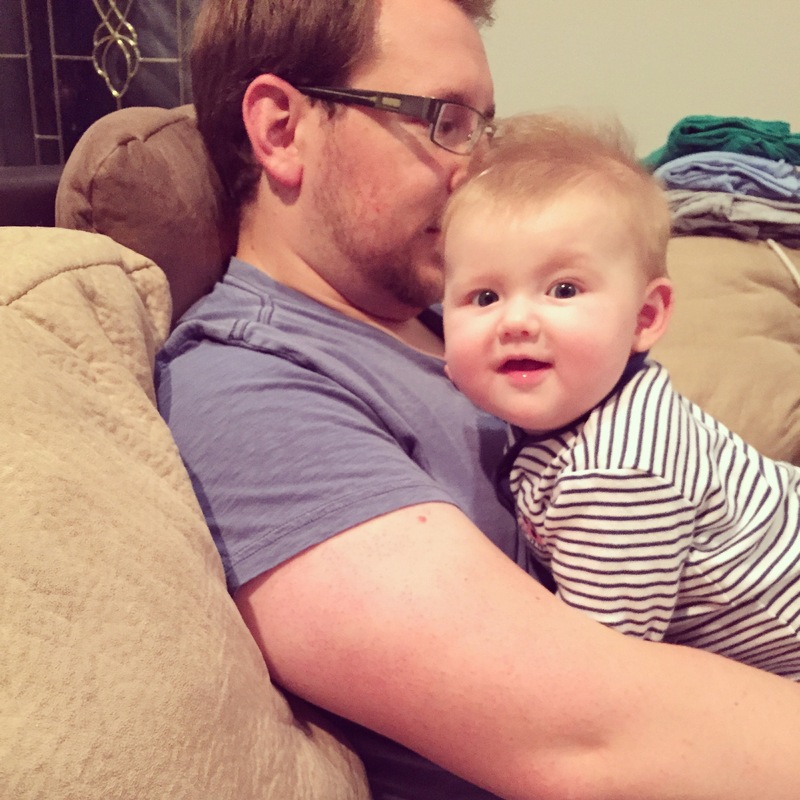 Five weeks later, we moved (again) to a cute little house in Charlotte, NC. It’s been a whirlwind, to say the least! we are settling into (another) new house and it’s slowly becoming home. We’re completely in love with our sweet baby girl (more on her later! ), and we’re having fun exploring a new city. This entry was posted in Uncategorized on September 29, 2014 by Audrey Steinbach. So I know February is the shortest month and all, but didn’t this February just fly by? 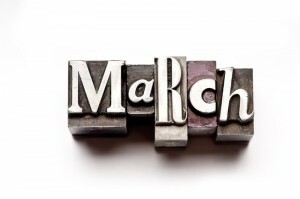 I can hardly believe it’s March already! I’d like to start a new series of posts involving monthly goals. January, as usual, provided plenty of ideas and inspirations from all kinds of goal-setters that I know and I set some annual and monthly goals for myself. Now that it’s March, I’d like to share some of them here and perhaps even keep you updated on my progress. Because I know that’s thrilling for you. start having people over again! We were pretty consistent last year about practicing hospitality but we haven’t done much since the holidays. keep working on daily habits: evening and morning routines, cleaning schedule, etc. 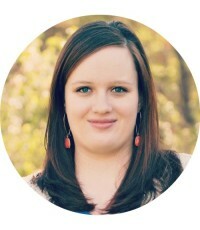 Tsh Oxenreider of Simple Mom is pretty amazing and she’s written a couple of books that I highly recommend. One Bite at a Time is a super-helpful breakdown of 52 different projects to simplify your life. I went through the book at the beginning of this year and designated months for each specific goal, usually putting similar goals in the same month so I can focus on one big area each month. 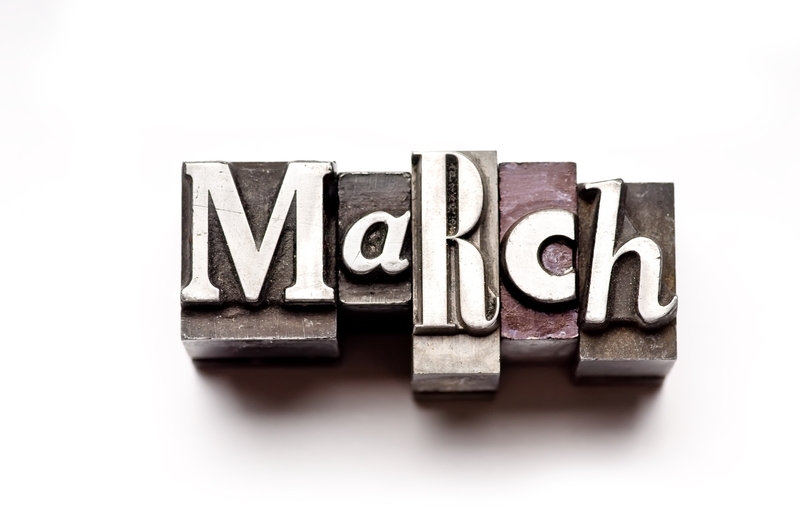 March goals are all about cleaning so, uh, I’m definitely excited about that. *wince* But it’s timely, because we’re anticipating a move in late April so it’s about time to clean up and purge before packing anyhow. And, you know, spring cleaning is a thing, right?? Do you set regular goals for yourself? What are some of your current goals? I’d love to hear about them! This entry was posted in goals and tagged goals on March 5, 2013 by Audrey Steinbach. Happy weekend, everybody!! Here’s a little collection of the best things I found on the interwebz this week. Double Spinach Pasta Casserole with Pesto and Asiago Cheese. We had this for dinner last night and, suffice it to say, I’m a big fan. Fortunately there are some leftovers in the fridge so I’ll be able to completely relive the experience. Eggs Benedict con Queso. Eggs Benedict is one of my favorite brunch foods. And with queso on top? Get in my belly! Can’t wait to try this recipe. An Infographic to Help You Cook Almost Any Grain. Such a handy chart! When I try to cook grains, I always have to frantically google on my phone for the correct proportions and times… I’m gonna print this and pop it on the fridge with the rest of the handy kitchen info. Creating Simplified + Organized Personal Reference Files. This post is awesome, and it’s just what needs to happen to my personal files. I mean, they’re preeeeetty organized, but they’re not like this. The History of Music in One Draw. Um, this is pretty awesome. I realize that not everyone in the world is as much of a music nerd as I am, but if you’ve got even a little bit of music-loving inside you, you’ll appreciate at least some portion of this video. What are your weekend plans? We’re doing a little house-hunting and hanging out with some friends- a perfect relaxing weekend! 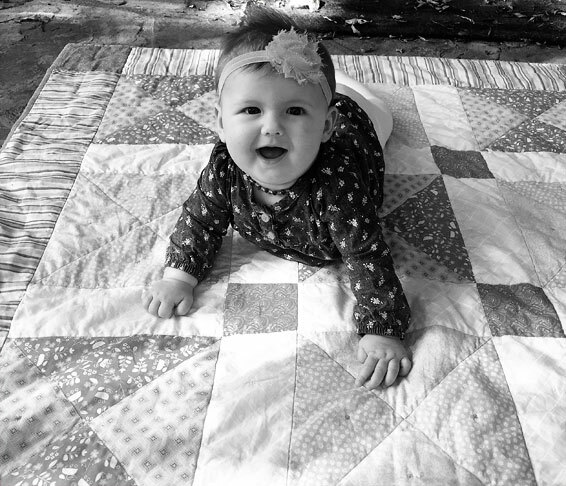 This entry was posted in weekend links on March 2, 2013 by Audrey Steinbach. I made a disastrous but delicious batch of caramel corn. It really did taste delicious, but i was chipping caramel concrete off the side of that bowl for what felt like days. 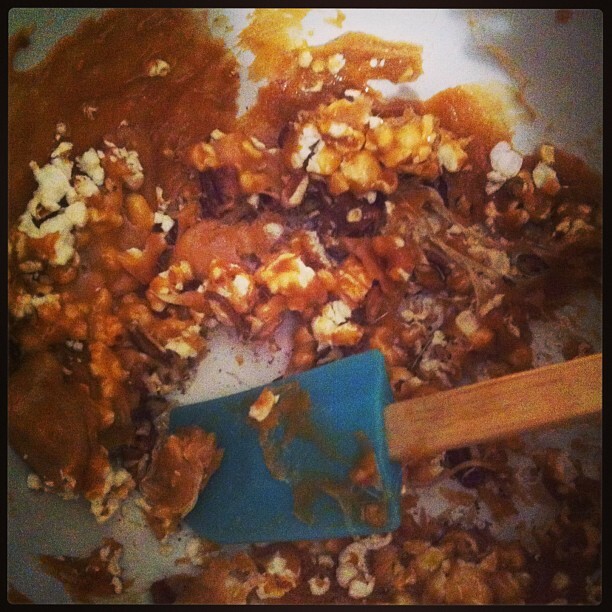 Fortunately, I’ve got a new recipe to try out next time I’m ready to tackle the caramel corn monster. I’ll let you know how it goes. James and I spent a week in Houston hanging out with my little brother while my parents were on a ski trip. Truthfully, we just went for the food. (Okay, that wasn’t truthful. But it’s always a fabulous fringe benefit!) 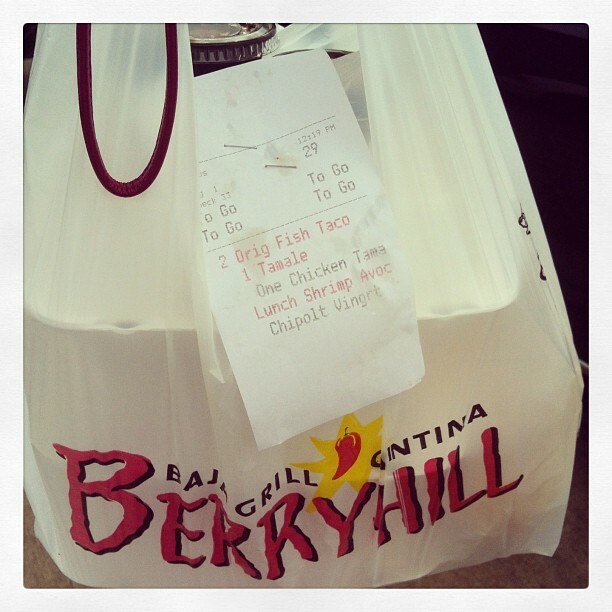 I may been to Berryhill for fish tacos on more than one occasion. I also made a few trips to Central Market, aka my favorite grocery store in the entire universe. And these grapefruits? Out of this world. 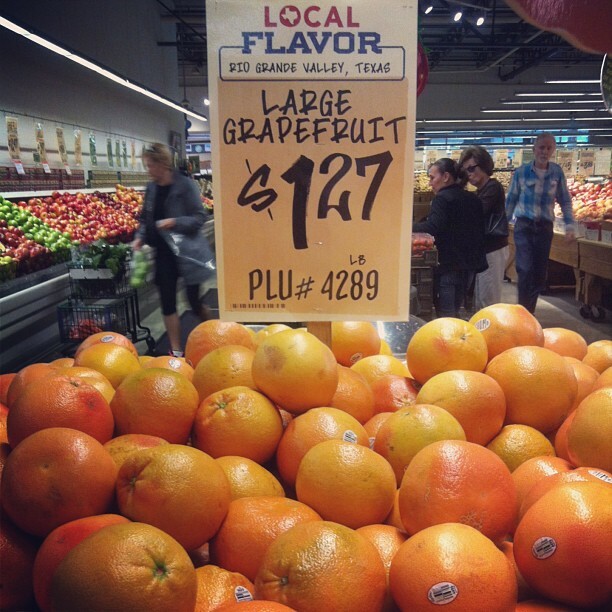 You can’t get grapefruit like this anywhere else in the world. We may have brought home two extra suitcases to accomodate the 5 pounds of grapefruit, a few Meyer lemons and large quantities of Ikea frames that I bought while we were there. Look, a Valentine’s Day instagram! Now that James is spending his afternoons dissertating, I take advantage of pretty much every opportunity for a quick coffee date. 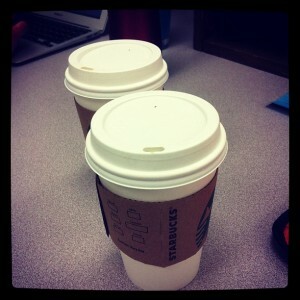 And on February 14, vanilla spice lattes were buy one get one free! But Starbucks was so crowded that I ended up waiting almost 30 minutes for those two drinks. Yikes! So that was our February in pictures- can you believe it’s March already? 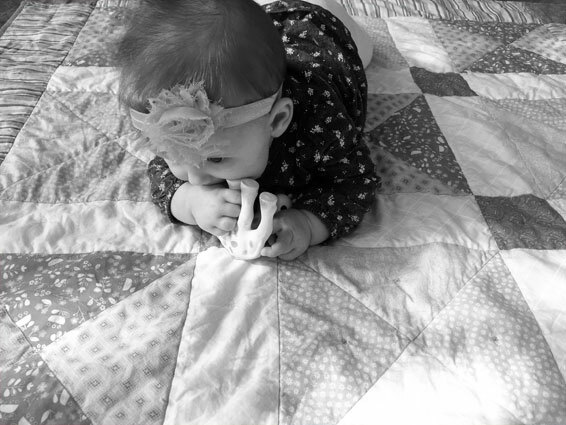 This entry was posted in worth a thousand words on March 1, 2013 by Audrey Steinbach. I’m excited to try this crockpot steel-cut oats recipe! I’ve made a few other recipes in the past, but none of them have been quite what I’m looking for. Perhaps this one will be? We had this Roasted Red Pepper and Goat Cheese Alfredo for dinner last week and it was fabulous. 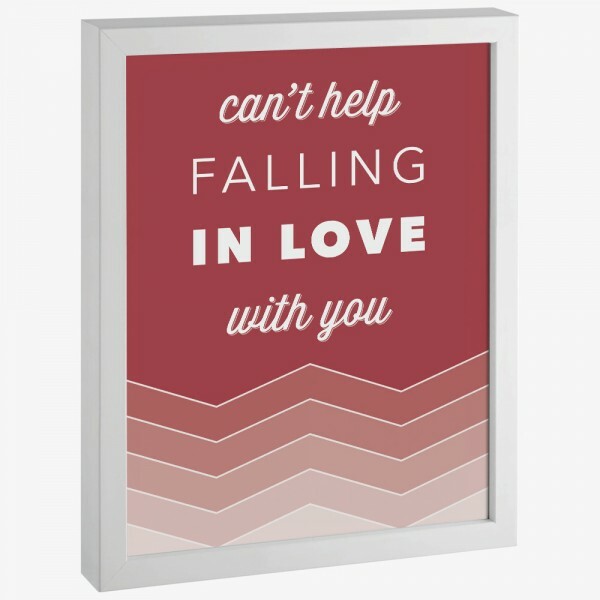 I love the beautiful Cake giclee prints in Paul Ferney’s shop! Wouldn’t these be fun in a kitchen or office? Crave, one of my favorite local shops, just released these adorable ceramic magnets. They come in sets of three, in your choice of some great colors. And they’re available on Etsy if you’re not local! Ann Voskamp speaks beautifully of Gospel and grace and Jesus in her post When You Need the Very Best Valentine. 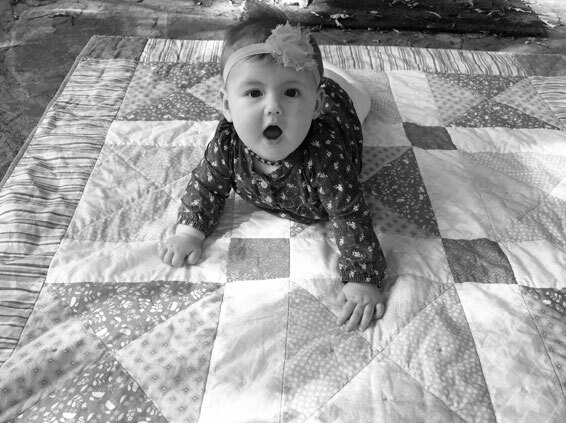 This entry was posted in weekend links on February 16, 2013 by Audrey Steinbach.